Every year I share with you my ideas for the festive menu. The truth is that as time goes by, the blog has a vast variety of recipes that are suitable not only for vegans or vegetarians but also for meat eaters as well. You can browse through it and choose which ones you love the most. Last week I posted the main dish, one of my best pasta dishes, shiitake penne with onin cream. Today I am posting a delicious and beautiful salad. It is nutritious and easy to make. Cabbage combined with black quinoa (I opt for black cause it is more formal, right? ), apple, pine nuts and cranberries. This is a filling salad that is ideal for the festive Christmas table! Happy new week everyone! Kisses and hugs! Cook in salted water (add onion powder too) quinoa according to package instructions. When ready remove from heat and after 5 minutes fluff it with a fork. 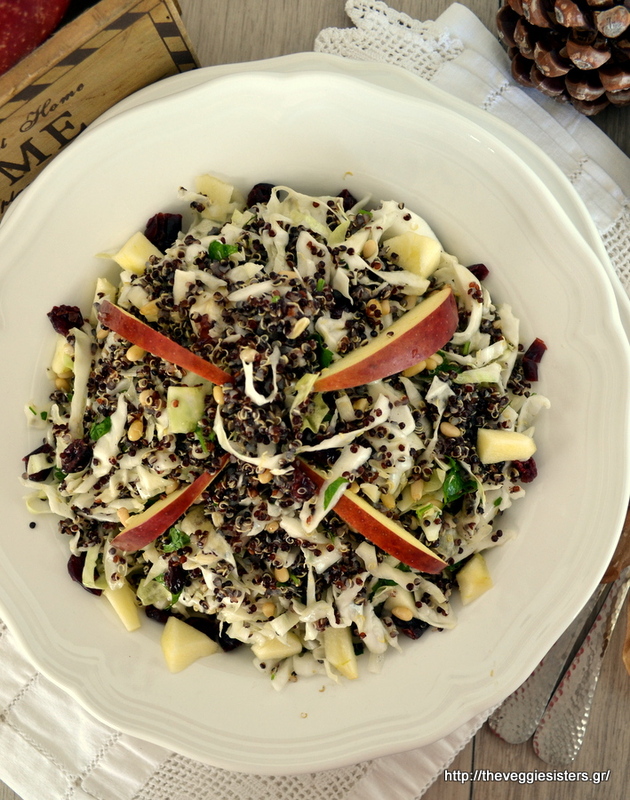 In a big bowl place cabbage, pine nuts, parsley, cranberries, quinoa and diced apple (just set aside 4 slim slices). Combine oil with vinegar and pour it over the salad. Season with salt and pepper. Transfer in a platter and garnish with apple slices. Enjoy! 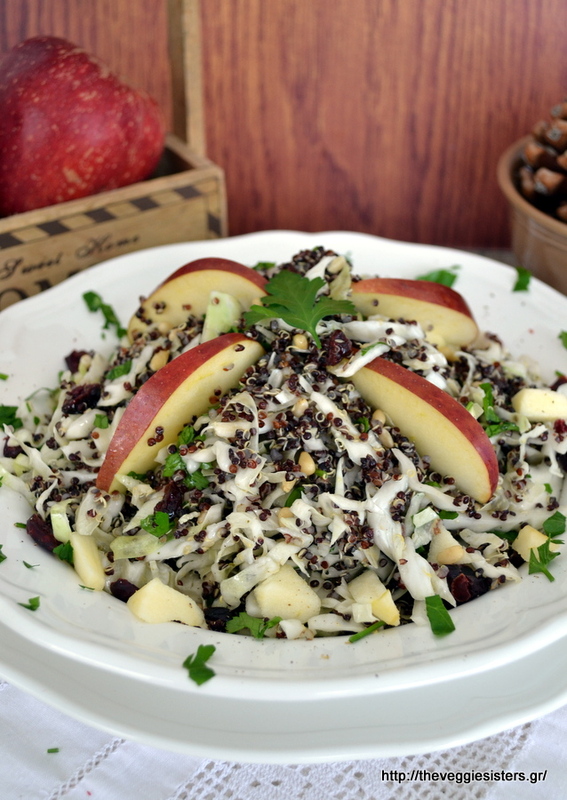 Share the post "Festive cabbage quinoa apple salad"